In the latest episode of the Windows Weekly podcast, Leo and I discuss the Mac OS X Lion preview and what it hints at for Windows 8, a rumored Windows 8 Tablet PC demo by the end of the first half of 2011, the return of the Windows Phone 7 pre-update, Apple's response to Microsoft's App Store trademark complaint, Windows InTune gets a release date, Consumer Reports slags Verizon iPhone 4 too, and Apple's iPad 2 announcement. Windows 7 app of week: Minibin by Mike Edward Moras Thanks to David Bianco for the tip! Windows Phone 7 app of the week: Basic Spanish for Dummies (99 cents) - We used this in Spain and it was pretty good as a dictionary, both Spanish to English and the reverse. Another suggestion from Jeff. 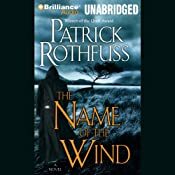 A great fantasy novel, with part 2 just out (coming soon to Audible).